I ran across another tag on Youtube, called the Nigerian and Natural tag. It was created by Nappyfu and Klassy Kinks. 1. What is your full Nigerian name? 2. When was your first relaxer? 3. How did you wear your hair in elementary school? 4. 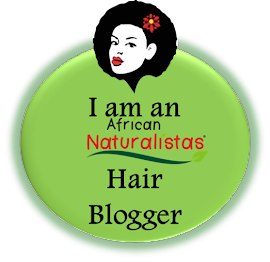 When did you go natural and why? 5. What were your parents' reactions when you went natural? 6. Which 1 product would you bring if you were to spend 1 month in Nigeria? 7. Palm oil or Coconut oil? 8. Do you use any products from Nigeria? 9. Food favorites: egusi vs. okra soup, rice and stew vs jollof rice, puff puff vs chin chin, suya vs stockfish? 10. 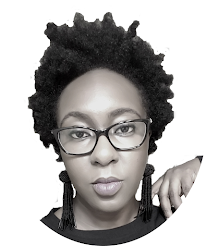 What's the state of natural hair amongst Nigerians? Lovely vlog! Your hair is lovely!! Nice. I already subscribed so keep it coming. I just realized while watching that I had never heard you speak. Weird right! As I have been following your blog for ages. One the other hand, not so weird as you have been more of a picture and post person. I enjoyed watching this. You have a nice voice too. Pardon my ignorance...what is native soup? I enjoyed watching your video and you sound exactly like the voice in my head that reads your posts...Lol!